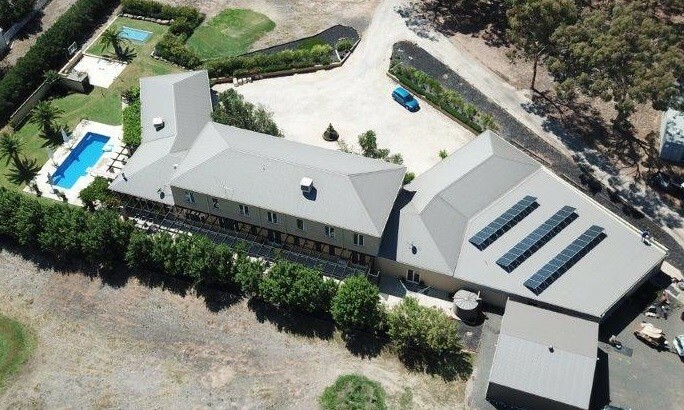 Earlier this year Click installed a 10KW Solar Power System in Strathfieldsaye with Enphase Micro Inverters & 34 Trina 300 watt Solar Panels. We quoted the customer for both the standard string Inverter option and an Enphase Micro Inverter option. We explained to the customer the benefits of both options and the customer decided to go ahead with the Micro Inverter System. Micro Inverters work the same as a standard Inverter. They are installed behind each individual panel rather than one inverter for all of the solar panels. The benefit of one micro per panel is it ensures that you are getting the best result from each panel. Faults no longer affects the entire system only isolating that individual panel. The Micro Inverters talk directly to the Enphase Envoy data logger (this is the brain of your system). Sending the data via a website to your PC or mobile device. Allowing you to monitor your household power usage and solar production at any time. We are pleased to say that our customer is extremely happy with the added advantages of the microinverters and considers his money well spent. Now that you have this information you may wish to consider a micro inverter system for yourself. 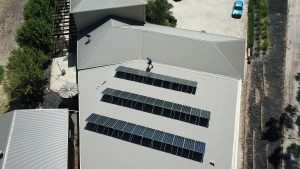 We have applied our 40 years of experience from the electrical and general construction industries to provide excellence in solar development and construction services. 48-50 Vains Street, Bendigo, 3550. PO Box 2619, Bendigo Delivery Centre, 3554.